Home » Our Doctors » Dr. Jessica R. Fullerton, O.D. 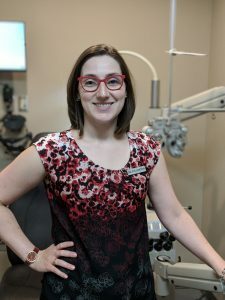 Born and raised in Whitby, Ontario, Dr Jessica Fullerton completed her Honours Bachelor of Science degree and her Doctor of Optometry degree at the University of Waterloo in 2011. 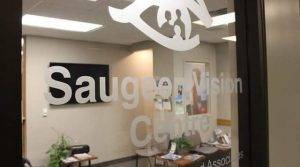 In August of 2011, Dr Fullerton started at Saugeen Vision Centre with Drs. Colquhoun and Chantry. She is a caring and thorough doctor. Dr Fullerton is married to Ryan Fullerton, a local pharmacist and owner of Brown’s Guardian Pharmacy in Walkerton. They have two young children who are the light of their lives. Dr Fullerton enjoys baking and is an avid reader and can be found often at the local library.